Frailty index may inform treatment decision-making for older patients by incorporating functional and quality of life factors versus chronological age alone. Our goal is two-fold: we want to determine the potential for a scent-detection system for early lung cancer screening, and we hope to help develop a functional “electronic nose” for diagnosing lung cancer. Since most patients are unaware of the choices and the risks for treating thyroid cancer, clinicians must be driving this decision. Why would they steer people to the riskier procedure? It could be about money. In a study published in Nature Cell Biology, the team from the Wellcome/Cancer Research UK Gurdon Institute show that Shieldin – so-called because it shields the ends of broken DNA – regulates DNA repair and could be a useful marker for identifying which patients are likely to respond poorly to PARP inhibitors. Australian researchers discover a ‘two birds, one stone’ approach to overcome chemotherapy resistance and prevent kidney damage. If Merck can win a new indication from the FDA, it could gain access to a patient pool that grows by about 63,000 U.S. cases per year. And that's a group Keytruda's rival, Bristol-Myers Squibb’s Opdivo, can't currently treat: Its approval only extends to previously treated patients, at least for now. The final results will also have a bearing on the whole checkpoint field, where experts have struggled to explain differing outcomes among PD-1s that were previously thought to have the same clinical profile. These results will be presented at an upcoming medical meeting and submitted to regulatory authorities worldwide. Based on the recommendation of the DMC, the trial will continue with no changes to evaluate KEYTRUDA monotherapy and KEYTRUDA in combination with platinum chemotherapy (cisplatin or carboplatin) plus 5-FU. Take a look inside the new manufacturing plant for Moderna Therapeutics, the Boston area-based biotech valued at $7 billion. Previous results from a midstage study of selumetinib in patients with advanced thyroid cancer showed “clinically meaningful increases” in iodine uptake and retention in patients with thyroid cancer that was refractory to RAI. Our top priority is our customer, and empowering each individual with the options to participate in research. As always, customers choose whether or not to participate in research. Customers can choose to opt-in or opt-out at any time. The partners plan to use 23andMe’s data to jointly discover drug targets. A joint GSK-23andMe team will then prioritize the targets based on the strength of the hypothesis, chances of drugging them and clinical opportunity. The companies will split costs and profits equally, and Glaxo will make a $300 million investment in 23andMe. The collaboration will last four years. The use of surrogates for cancer can put promising treatments into the hands of high-risk patients years before they would’ve been available using previous endpoints, and, in some cases, increase the likelihood of a achieving a long-term remission. To advance this science, today we’re meeting one of our commitments under the Cures Act related to surrogates. To be sure, contracts designed around an annuity approach or HealthCoin won’t be the magic bullet that aligns incentives, but they do represent the kind of beyond-the-system thinking needed as we move to a world where tomorrow’s innovation looks different than yesterday’s breakthroughs. After considering the feedback from consultation, the Appraisal Committee has prepared a Final Appraisal Document (FAD) on Pembrolizumab for treating relapsed or refractory classical Hodgkin lymphoma and submitted it to the Institute. The most plausible cost-effectiveness estimate for pembrolizumab compared with chemotherapy is within the range NICE normally considers acceptable for an end-of-life treatment. 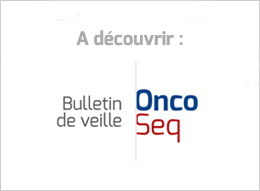 Therefore, it can be recommended as an option for untreated metastatic PD‑L1-positive (with at least a 50% tumour proportion score) NSCLC if treatment is stopped after 2 years. The paper, led by Harvard Medical School biologist Sam Lee, is among several publications from his group to be retracted. Molecular Cell and the Journal of Biological Chemistry have each withdrawn one of Lee’s studies in recent years due to “inappropriately assembled” data and figure manipulation, respectively. “Selective killing of cancer cells by a small molecule targeting the stress response to ROS” has been cited 577 times, according to Clarivate Analytics’ Web of Science — making it a “highly cited paper,” meaning it was ranked in the top 1 percent of all papers in its field for the year it was published. It’s been cited 257 times since its last correction was published in September 2015. Sethi is the founder of Ciitizen, an early-stage start-up that's focused on helping people with cancer access their data. It's a deeply personal effort for Sethi, who left Apple late last year to care for his sister, Tania, as she was dying from breast cancer.